Post-conflict societies are commonly constructed as weak, fragile, and failed states. Economic recovery, risks of renewed violent conflict, natural resource degradation, and poverty alleviation become prioritized agendas of donor countries and international institutions. 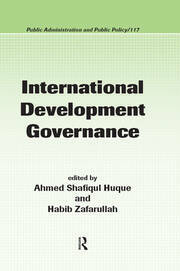 Billions of dollars on development policy and governance reform have been invested. However, misapplication, ineffectiveness, and foreign aid dependency have become a controversial debate on "whose policy, whose governance, and whose outcomes." 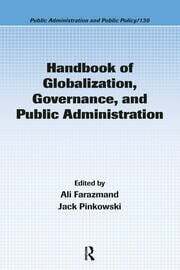 To understand the problems, the author employs a blend of social constructionism and discourse theory to establish a platform for understanding and discussing hegemonic aid conditionality on recipient governments. 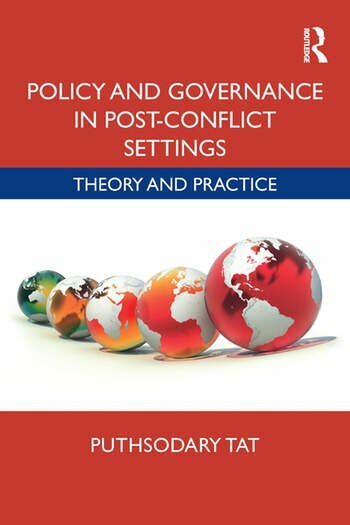 The theories also help analyze how the meanings of "post-conflict governance" are socially, economically, and politically constructed and used in state building, state apparatuses, institutional building, and policy-making process. 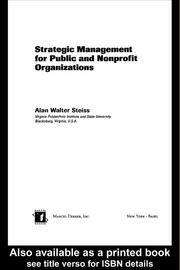 He reveals that the philosophical and theoretical knowledge that underlies the interface between the mode of governance and policy design create the consensus of values, norms and indicators between experts, public servants, donors and communities in post-conflict settings. The author also shares illuminating case studies by way of his considerable wealth of experience leading reconstructive efforts in Afghanistan and Cambodia. Dr. Puthsodary Tat is an assistant professor of public administration at the American University of Afghanistan. He has experience working as a director, coordinator, team leader, and consultant with the United Nations, local and international NGOs, and government ministries in Cambodia.